Makes a Cool Refrigerator Magnet Too! Etched Image is permanent - Will never come off! 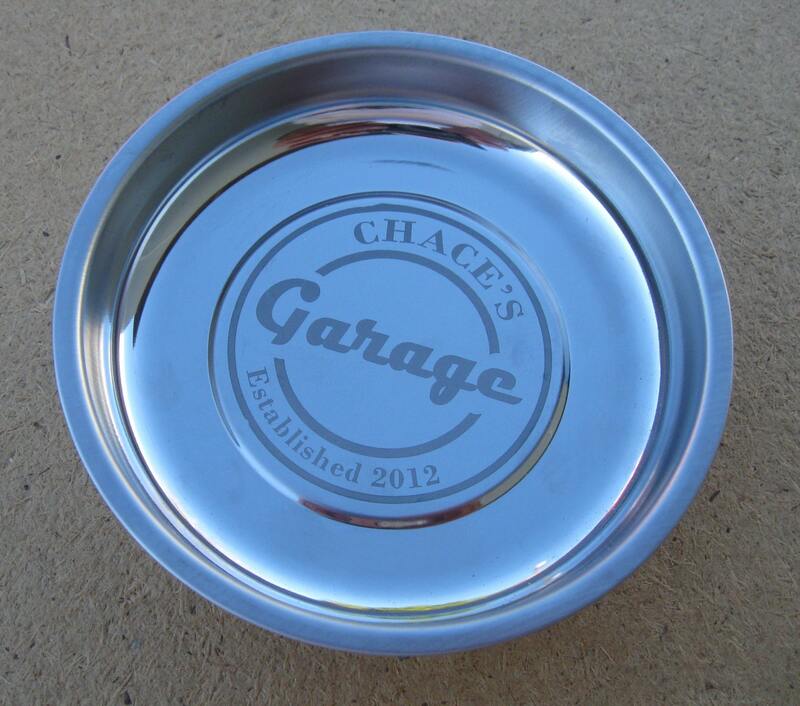 We Will Engrave Your Choice of Name and "Established" date. Parts don't fly when you magnetize! This 4 in. 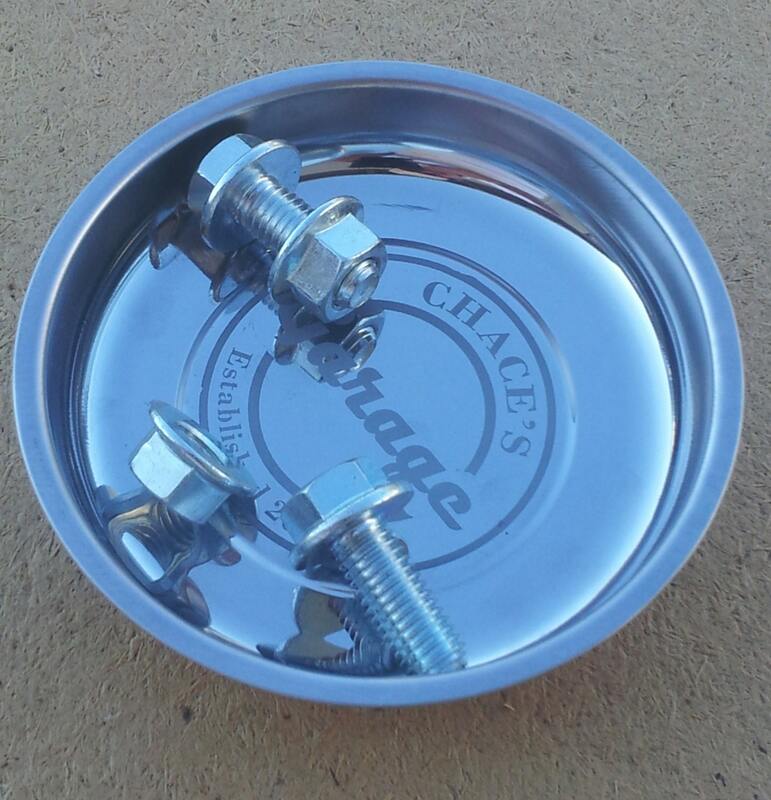 magnetic parts holder has 4 lb. of magnetic pull to keep fasteners and other components close at hand, instead of behind the workbench or tangled in the carpet. 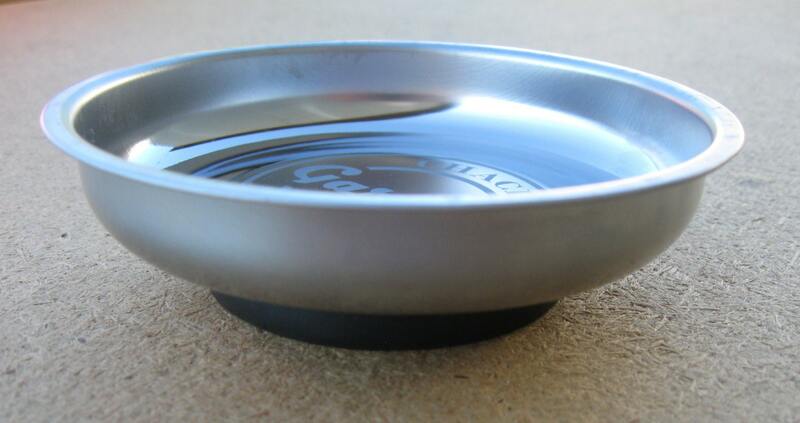 This stainless steel dish even works upside down! 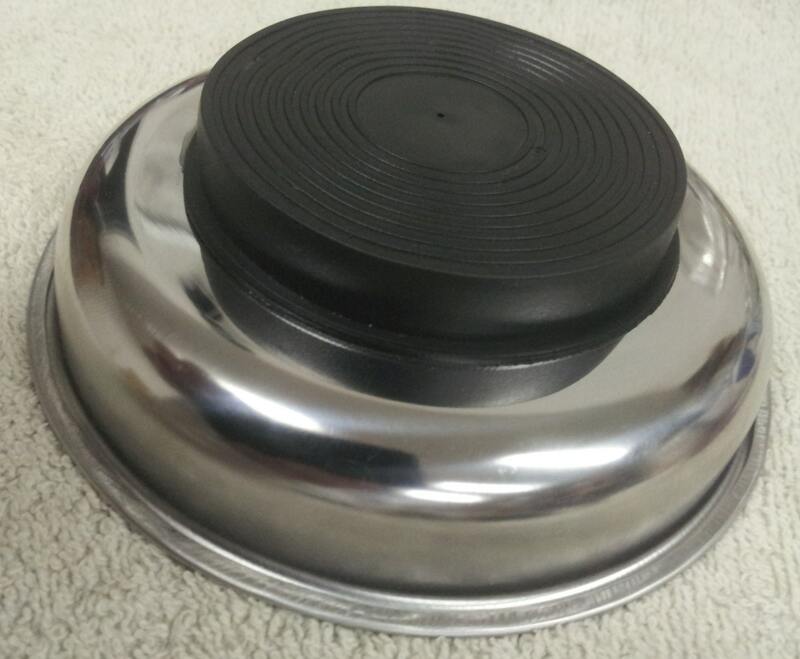 Approximately 4" Diameter and 3/4" depth. 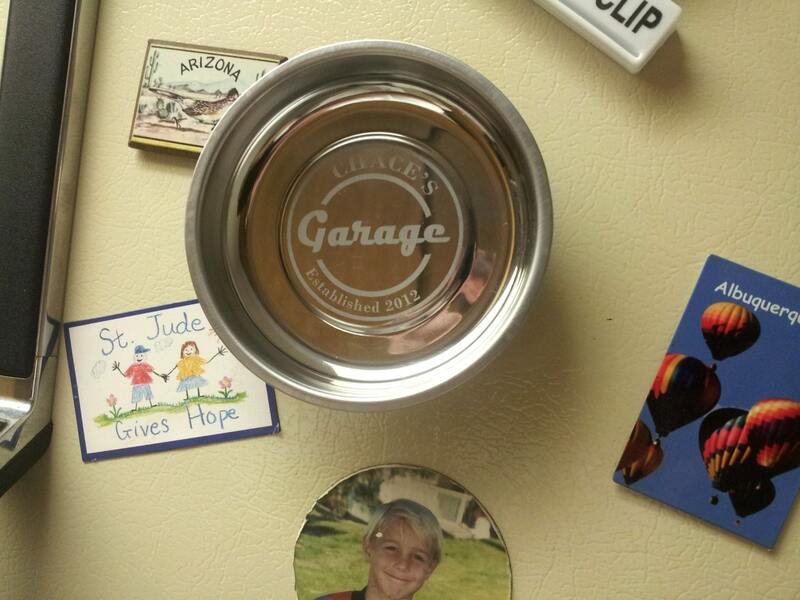 Powerful magnet holds up to 4 lb. Shipping - $6 for the first tray - $2 each additional tray.